Please join us for a series of events on February 11th-15th during Love Data Week. This nationwide campaign is designed to raise awareness about data management, security, sharing, and preservation. Students, researchers, librarians and data specialists are invited to attend these events to gain hands on experience, learn about resources, and engage in discussion around data needs throughout the research process. 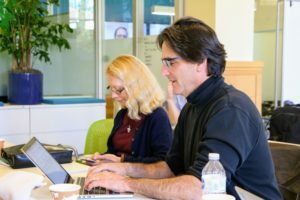 Berkeley Research Computing is offering an introductory training session on using Savio, the campus Linux high-performance computing cluster. We’ll give an overview of how the cluster is set up, different ways you can get access to the cluster, logging in, transferring files, accessing software, and submitting and monitoring jobs. New, prospective, and current users are invited. Join us for a demonstration and Q&A session on the Code Ocean platform! Code Ocean is a cloud-based computational reproducibility platform that provides researchers and developers an easy way to share, discover, and run code published in academic journals and conferences. This is a step-by-step, practical workshop to prepare your research code and data for computationally reproducible publication. The workshop starts with some brief introductory information about computational reproducibility, but the bulk of the workshop is guided work with code and data. We cover the basic best practices for publishing code and data. There are many great resources for research and instruction across campus, but it can be difficult to determine what is available and where to find it. Join us for a showcase and community discussion about two cutting-edge cloud platforms, Analytic Environments on Demand (AEoD) and JupyterHub, and how best to provide a holistic ecosystem of these and other tools. Learn what love the Information Security & Policy office shows campus and why a day without ISP would break the University’s heart. We will also talk about simple ways you can protect your identity and show your data love. Sponsored by the University Library, Research IT, Berkeley Institute for Data Science, Information, Security and Policy, and CITRIS. The Library’s Office of Scholarly Communication Services is holding a series of workshops in October focused on publishing and professional development training for graduate students and early career researchers. All workshops will take place during the week of October 22 at the Graduate Professional Development Center, 309 Sproul Hall. Light refreshments will be served. This workshop will provide you with a practical workflow for navigating copyright questions and legal considerations for your dissertation or thesis. Whether you’re just starting to write or you’re getting ready to file, you can use this workflow to figure out what you can use, what rights you have, and what it means to share your dissertation online. Hear from a panel of experts – an acquisitions editor, a first-time author, and an author rights expert – about the process of turning your dissertation into a book. You’ll come away from this panel discussion with practical advice about revising your dissertation, writing a book proposal, approaching editors, signing your first contract, and navigating the peer review and publication process. This workshop will provide you with practical strategies and tips for promoting your scholarship, increasing your citations, and monitoring your success. You’ll also learn how to understand metrics, use scholarly networking tools, evaluate journals and publishing options, and take advantage of funding opportunities for Open Access scholarship. 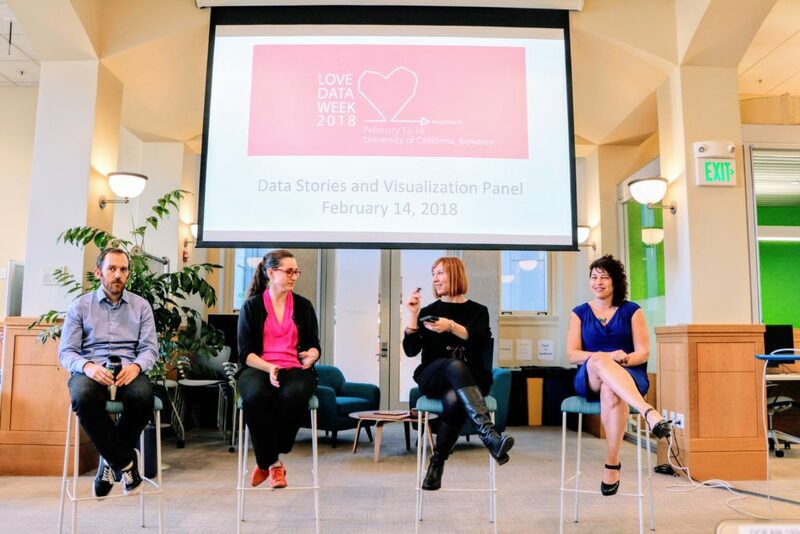 UC Berkeley celebrates Love Data Week with great talks and tips! 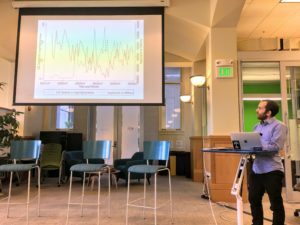 Last week, the University Library, the Berkeley Institute for Data Science (BIDS), the Research Data Management program were delighted to host Love Data Week (LDW) 2018 at UC Berkeley. Love Data Week is a nationwide campaign designed to raise awareness about data visualization, management, sharing, and preservation. The theme of this year’s campaign was data stories to discuss how data is being used in meaningful ways to shape the world around us. 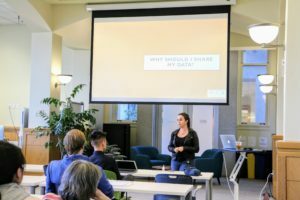 At UC Berkeley, we hosted a series of events designed to help researchers, data specialists, and librarians to better address and plan for research data needs. The events covered issues related to collecting, managing, publishing, and visualizing data. 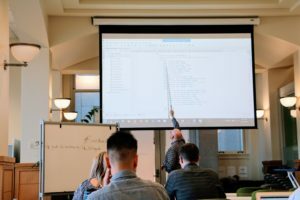 The audiences gained hands-on experience with using APIs, learned about resources that the campus provides for managing and publishing research data, and engaged in discussions around researchers’ data needs at different stages of their research process. Participants from many campus groups (e.g., LBNL, CSS-IT) were eager to continue the stimulating conversation around data management. Check out the full program and information about the presented topics. Photographs by Yasmin AlNoamany for the University Library and BIDS. Eric Livingston explains the difference between Elsevier APIs. 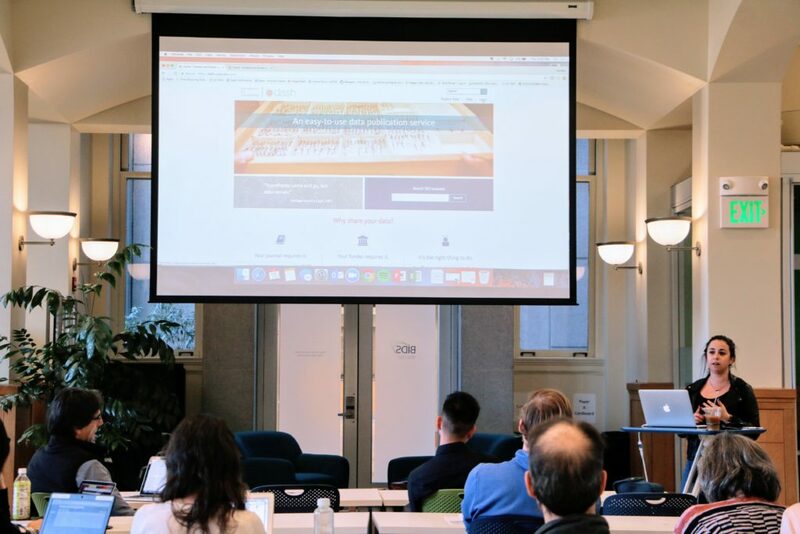 LDW at UC Berkeley was kicked off by a walkthrough and demos about Scopus APIs (Application Programming Interface), was led by Eric Livingston of the publishing company, Elsevier. Elsevier provides a set of APIs that allow users to access the content of journals and books published by Elsevier. In the first part of the session, Eric provided a quick introduction to APIs and an overview about Elsevier APIs. He illustrated the purposes of different APIs that Elsevier provides such as DirectScience APIs, SciVal API, Engineering Village API, Embase APIs, and Scopus APIs. As mentioned by Eric, anyone can get free access to Elsevier APIs, and the content published by Elsevier under Open Access licenses is fully available. Eric explained that Scopus APIs allow users to access curated abstracts and citation data from all scholarly journals indexed by Scopus, Elsevier’s abstract and citation database. He detailed multiple popular Scopus APIs such as Search API, Abstract Retrieval API, Citation Count API, Citation Overview API, and Serial Title API. Eric also overviewed the amount of data that Scopus database holds. The attendees conduct live queries on Scopus APIs. In the second half of the workshop, Eric explained how Scopus APIs work, how to get a key to Scopus APIs, and showed different authentication methods. He walked the group through live queries, showed them how to extract data from API and how to debug queries using the advanced search. He talked about the limitations of the APIs and provided tips and tricks for working with Scopus APIs. Eric explains code snippets for querying Scopus APIs. Eric left the attendances with actionable and workable code and scripts to pull and retrieve data from Scopus APIs. The Data Stories and Visualization Panel. On the second day, we hosted a Data Stories and Visualization Panel, featuring Claudia von Vacano (D-Lab), Garret S. Christensen (BIDS and BITSS), Orianna DeMasi (Computer Science and BIDS), and Rita Lucarelli (Department of Near Eastern Studies). 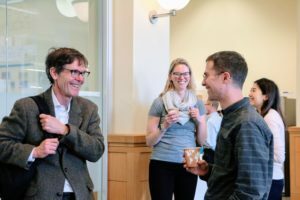 The talks and discussions centered upon how data is being used in creative and compelling ways to tell stories, in addition to rewards and challenges of supporting groundbreaking research when the underlying research data is restricted. 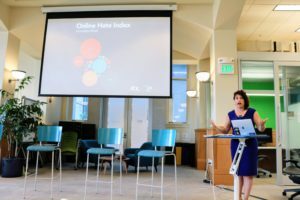 Claudia von Vacano talks about the Online Hate Index project. 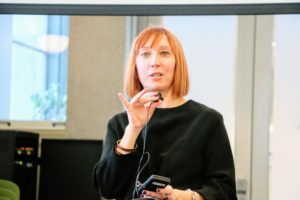 Claudia von Vacano, the Director of D-Lab, discussed the Online Hate Index (OHI), a joint initiative of the Anti-Defamation League’s (ADL) Center for Technology and Society that uses crowd-sourcing and machine learning to develop scalable detection of the growing amount of hate speech within social media. In its recently-completed initial phase, the project focused on training a model based on an unbiased dataset collected from Reddit. Claudia explained the process, from identifying the problem, defining hate speech, and establishing rules for human coding, through building, training, and deploying the machine learning model. Going forward, the project team plans to improve the accuracy of the model and extend it to include other social media platforms. Garret S. Christensen talks about his experience with research data. Next, Garret S. Christensen, BIDS and BITSS fellow, talked about his experience with research data. He started by providing a background about his research, then discussed the challenges he faced in collecting his research data. The main research questions that Garret investigated are: How are people responding to military deaths? Do large numbers of, or high-profile, deaths affect people’s decision to enlist in the military? Garret shows the relation between US deaths rate and the number of applicants to the military. Garret discussed the challenges of obtaining and working with the Department of Defense data obtained through a Freedom of Information Act request for the purpose of researching war deaths and military recruitment. 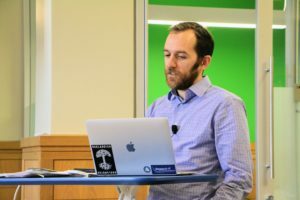 Despite all the challenges that Garret faced and the time he spent on getting the data, he succeeded in putting the data together into a public repository. Now the information on deaths in the US Military from January 1, 1990 to November 11, 2010 that was obtained through Freedom of Information Act request is available on dataverse. At the end, Garret showed that how deaths and recruits have a negative relationship. 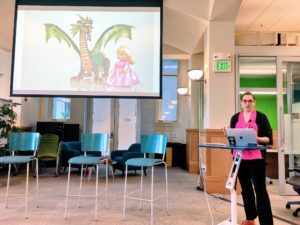 Orianna DeMasi related her experience of working on real problems with real human data to taming dragons. Rita Lucarelli is discussing the Book of the Dead in 3D. Rita Lucarelli, Department of Near Eastern Studies discussed the Book of the Dead in 3D project, which shows how photogrammetry can help visualization and study of different sets of data within their own physical context. According to Rita, the “Book of the Dead in 3D” project aims in particular to create a database of “annotated” models of the ancient Egyptian coffins of the Hearst Museum, which is radically changing the scholarly approach and study of these inscribed objects, at the same time posing a challenge in relation to data sharing and the publication of the artifacts. Rita indicated that metadata is growing and digital data and digitization are challenging. It was fascinating to hear about Egyptology and how to visualize 3D ancient objects! Daniella Lowenberg presents on Research Data Management Planning and Publishing. We closed out LDW 2018 at UC Berkeley with a session about Research Data Management Planning and Publishing. In the session, Daniella Lowenberg (University of California Curation Center) started by discussing the reasons to manage, publish, and share research data on both practical and theoretical levels. Daniella shares tips about publishing research data. 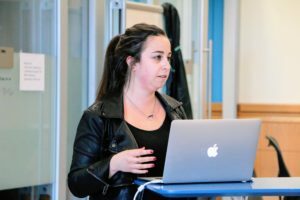 Daniella shared practical tips about why, where, and how to manage research data and prepare it for publishing. She discussed relevant data repositories that UC Berkeley and other entities offer. Daniela also illustrated how to make data reusable, and highlighted the importance of citing research data and how this maximizes the benefit of research. Daniella’s live demo on using Dash for publishing research data. At the end, Daniella presented a live demo on using Dash for publishing research data and encouraged UC Berkeley workshop participants to contact her with any question about data publishing. In a lively debate, researchers shared their experiences with Daniella about working with managing research data and highlighted what has worked and what has proved difficult. We have received overwhelmingly positive feedback from the attendees. Attendees also expressed their interest in having similar workshops to understand the broader perspectives and skills needed to help researchers manage their data. I would like to thank BIDS and the University Library for sponsoring the events. CFP deadline December 1, 2017. A one-week training workshop (March 25-31, 2018) at UCSC on photogrammetry for early-stage graduate students. Participants in this workshop will gain intensive hands-on experience in the techniques and processing workflow for photogrammetric recording for cultural heritage projects, presented within the context of a critical engagement in discussions of the politics of digital knowledge production. Click here for more information: ARC Photogrammetry Workshop Call UCSC. CFP deadline January 19, 2018. Scholars from a wide range of fields are invited to submit proposals for research projects investigating Ed Ruscha’s “Streets of Los Angeles” archive—including, but not limited to digital humanities, cultural geography, architecture, art history, photography, and visual culture. Interdisciplinary approaches and team-based projects are particularly encouraged. Selected researchers would collaborate with Getty Research Institute (GRI) staff as part of a larger research-technology project, which seeks to digitize and make publicly-accessible a portion of the archive in innovative ways. The goal is to publish resulting scholarship at the close of the project. For more details, click here. CFP deadline Janurary 5, 2018. This Getty Foundation supported workshop will support interdisciplinary teams focused on the hard questions of Digital Art History as a discipline, a set of methods, and a host of technical and institutional challenges and opportunities. Participants will gather from June 4-16, 2018 in Venice, Italy at Venice International University, with follow-up activities taking place over the course of the 2018-19 academic year, and leading into a follow-on gathering in Summer of 2019 that will operate as a writing and digital publication workshop, building upon work done over the course of the year by the project teams and in collaboration with our wider network. CFP deadline January 16, 2018. Digital Humanities Advancement Grants (DHAG) support digital projects throughout their lifecycles, from early start-up phases through implementation and long-term sustainability. Experimentation, reuse, and extensibility are hallmarks of this grant category, leading to innovative work that can scale to enhance research, teaching, and public programming in the humanities. 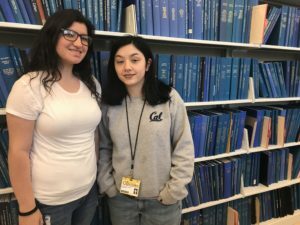 Are you a UC Berkeley staff or affiliate who is concerned about the impact of high textbook costs on students, or you are working with a faculty member who is? Do you want to support the adoption or creation of innovative pedagogical materials? Learn the landscape, opportunities, and challenges for open textbooks, and how to discuss whether open textbooks are a good fit. If you’re looking to self-publish work of any length and want an easy-to-use tool that offers a high degree of customization, allows flexibility with publishing formats (EPUB, MOBI, PDF), and provides web-hosting options, Pressbooks may be great for you. Pressbooks is often the tool of choice for academics creating digital books, open textbooks, and open educational resources, since you can license your materials for reuse however you desire. Learn why and how to use Pressbooks for publishing your original books or course materials. You’ll leave the workshop with a project already under way! A representative from Qiagen will offer a hands-on training workshop on using IPA to interpret expression data (including RNA-seq). You are invited to participate in this free training, and are encouraged to bring your own laptop or use the computer workstations in our training room. Please register if you are interested in attending. The UC Berkeley Libraries are excited to host the HathiTrust Research Center (HTRC) UnCamp, on January 25-26, 2018. Register now for HTRC UnCamp! Early registration price of $100 through November 29, 2017. Standard price of $150 begins on November 30, 2017. More info is available from the Library news. From the beginning of the writing process to submitting and publishing your dissertation or thesis, we will walk you through a useful workflow for addressing copyright and other legal considerations. Hear from expert panelists about what happens once you submit your dissertation, how to shape your dissertation’s impact, and how to go about publishing your first book. Discover strategies and tips for preparing and promoting your scholarship, and the best ways to monitor and increase your citations and success. You’ll also learn how to: understand metrics, select and use scholarly networking tools, choose reputable open access journals and publishing options, and participate in open access article and book funding opportunities. Are you publishing an article or reviewing someone else’s work? Panelists demystify the peer review process, what’s expected of you and what you’ll experience, and how the world of peer review is evolving with new models that foster transparency and impact. Do you wonder how to make your assigned readings more affordable, and how much time and effort you’d need to invest? 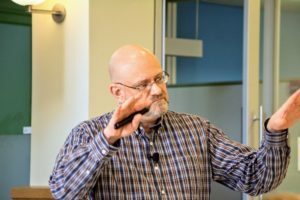 The University Library and Center for Teaching and Learning have partnered in an innovative pilot program to reduce course content expenses and incentivize the creation of high quality, free, and open course materials. In this panel event, you’ll hear from participating faculty and lecturers who will discuss their experiences and provide practical tips from the leading edge of course content affordability. Here are upcoming workshops on Google-related tools. Snacks and soft drinks will be provided.